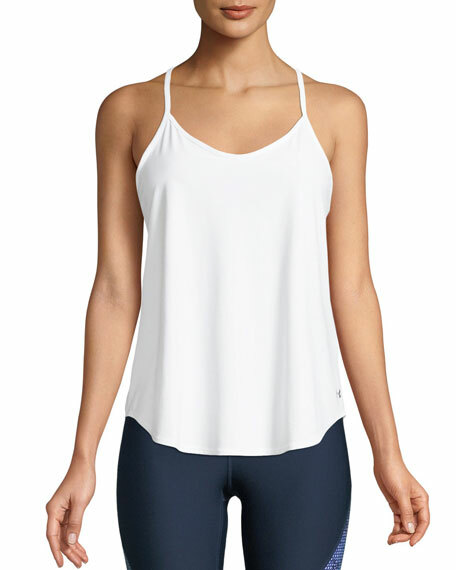 Under Armour "Free Cut" tank in lightweight stretch fabric. Four-way stretch for range of motion. Shaped hem for enhanced coverage.